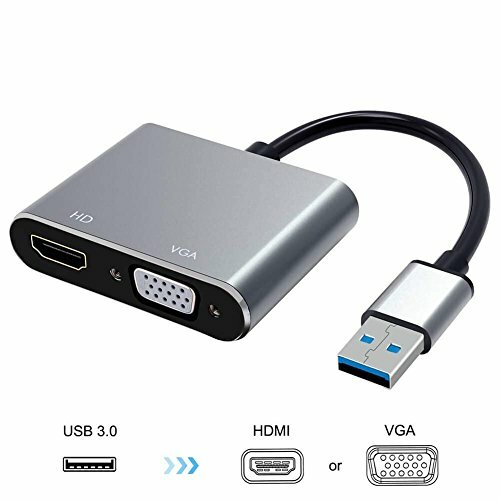 【Easy to Install】: When you insert our USB 3.0 to HDMI Adapter to your computer through USB3.0 port, then it will promote a driver automatically, then just follow the step and install it. Do not need repeated installation, simple use. 【Lightweight and Portable】: Portable USB3.0 adapter is lightweight to carry into your laptop bag on a business trip. You can extend the computer screen to a large screen display or projector, set up duplication (mirroring), use it for presentation with a projector etc, work in a large screen workspace, or use USB to VGA adapter to mirror display movies in the classroom.